Remember the first time you recorded yourself singing or playing and were surprised that it didn't sound much like those cool Steely Dan records? One reason it didn't sound quite like you were hoping was because it was recorded in your bedroom or maybe your garage or basement, which sounded kinda like... well, a garage or a basement. Why is that? 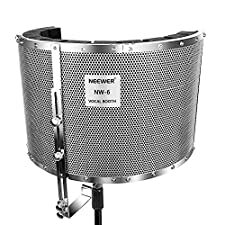 Mostly it's because of parallel reflective wall surfaces which produce standing waves that reinforce certain frequencies that reflect back into the microphone. This is what makes up your "room sound". In addition, ambient noise that we normally do not notice, creeps into our recordings; street sounds, air conditioning, birds, frogs, dogs, cats, plumbing, children. One solution to this problem is to do what professional recording studios do. Build a specially designed room with no parallel walls or surfaces with mounted diffusers, and lots of soundproofing. Or maybe... Use the Post Audio line of Ambient Room Filters . These filters are designed to reduce the reflections, standing wave effects and the ambient noise leaking into your recordings in real world acoustic environments (like your living room, bedroom or garage studio). Ambient Reflection Filters use a combination of absorption and diffusion to achieve this result. First, as sound waves pass by the mic and into the filter, the absorptive material reduces the amount of audio energy that can reach the reflective surfaces in the room. Any reflected waves are then deflected as they pass back through the metal diffuser plate. The ARF-01 is Post Audio's top of the line model and includes additional hardware that allows for stereo recording or mounting two mics side by side and the ARF-01's unique swiveling "barndoor" design is configurable for narrow or wide filter patterns depending on the types of microphones used, the number of singers, the room itself and your own ears. Reflection filters serve to drastically reduce the reflections and standing waves that make up the "sound" of any room. When recording music, whether voice or instrument, it is very desirable to record your tracks "dry", with as little of the room sound as possible. Reflection filters do this by limiting the amount of sound that gets past the microphone to bounce off the walls and by then diffusing whatever sound does bounce back towards to the microphone. 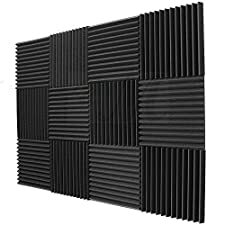 Essentially, this is a way of treating the acoustic space right around your microphone instead of treating the entire room you are recording in. Post Audio There are other reflection filters on the market, almost all of them copies or knock-offs of Post Audio's original designs. Some are inexpensive and not so good and some others are good but crazy expensive. Post Audio hits the sweet spot with filters that do their job very well, are professional quality and are still reasonably priced. That's probably why Post Audio is the largest maker of reflection filters in the USA. 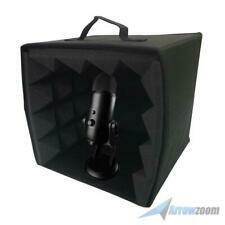 *Includes the ARF-36 portable vocal booth, mounting system and carrying bag. The stand, mics and mic mount you see in these photos are not included. High density acoustic foam paneling - dampen harsh and aggressive sound tones. Aluminum design - light weight aluminum frame with steel supports allows for easy portability. 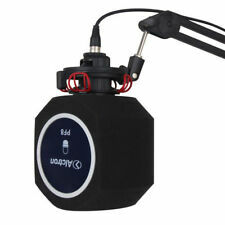 SK adjustable adapter included - allows for simple and easy recording setups. SKvocalbooth's AEF pro home and pro recording studio vocal booth. The next level of acoustic sound control for your recording studio, The sound Kitz AEF pro is a vocal booth built specifically for recording in both sound treated and non sound treated environments. Now you can create recording worthy acoustics just about anywhere you can set up your microphone. Improve your audio by removing unwanted noise from your recordings. 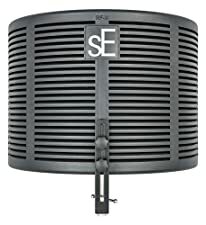 The AEF pro's filter allows for your sound performance to retain its depth and volume leaving you with a full sounding recording in recording locations that would have otherwise been non ideal to record in. Improve the sound of your vocals or capture the performance the way it should be heard. Recording music instruments with the air pro vocal booth. Recording instruments is a simpler process with the AEF pro's acoustics. The AEF pro offers sound support in capturing instruments like guitars, drums, brass, woodwinds and strings due to the additional acoustic features we’ve added to its filter. Uses: Recommended for creating sound control in small to large sized environments with or without sound treatments Record vocals, voiceovers and instruments. Installation: Mounts directly to your microphone stand (not included) Package contents: (1) SK AEF pro vocal booth (1) product microphone mount (1) product manual (1) warranty. 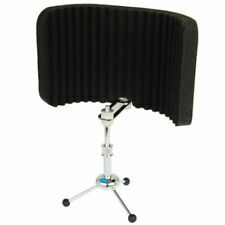 auralex studio foam for control room and vocal booth. Acoustic treatment.